Hereke: The most famous and finest pure silk carpets in the world are produced in the small town of Hereke, 60 km east of Istanbul. Hereke carpets are recognised by this name in the carpets literature and they have an extraordinary place among world carpets. 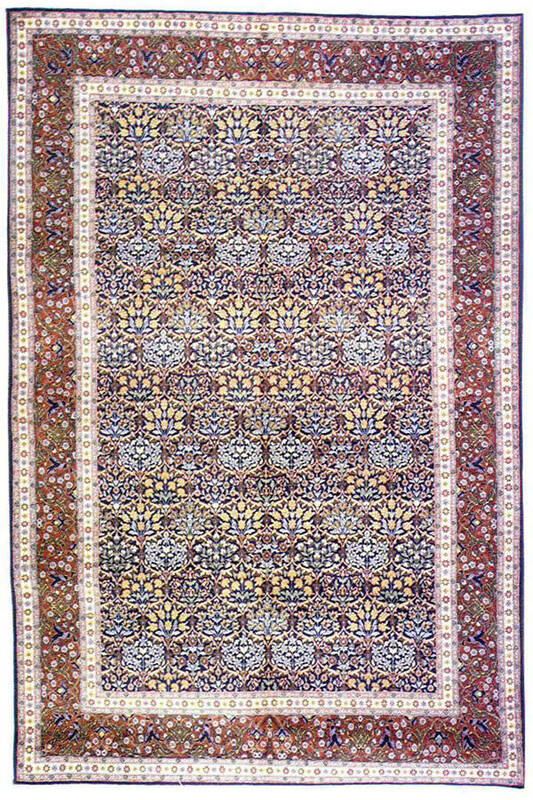 These carpets which form a special group in our carpet weaving art and which are known by the name of "Palace carpets", were woven in workshops within the Royal Palace or belonging to the court during Ottoman period and they were made for the Sultans and their close circles. The dominant colours in Hereke carpets are dark blue, cream and cinnamon and occasionally yellow and green are used. The traditional floral designs are common and each design has its own name, such as: Seljuk Star, Seven Mountain Flowers, Ploneise, 101 Flowers, and Tulip. The flowers in the design and the harmony of colours add warmth to a home.